This was the most difficult aspect to design on the project due to the fact I wanted a really familar start/select button placement, but that placement was going to be difficult to 3D print and also install correctly without effecting the overall size or thickness of the case. The solution I came up with was to separate the start/select button holder from the case 3D print, and then just glue it in place. When placing the start and select buttons, there is some text that on the top of the button that shows you which way is up on the physical button in the case. There is a bit of an art to making this work, but take your time and you'll get it right. You may have to sand the button edges a bit to make them a bit smoother, as well as the button openings. 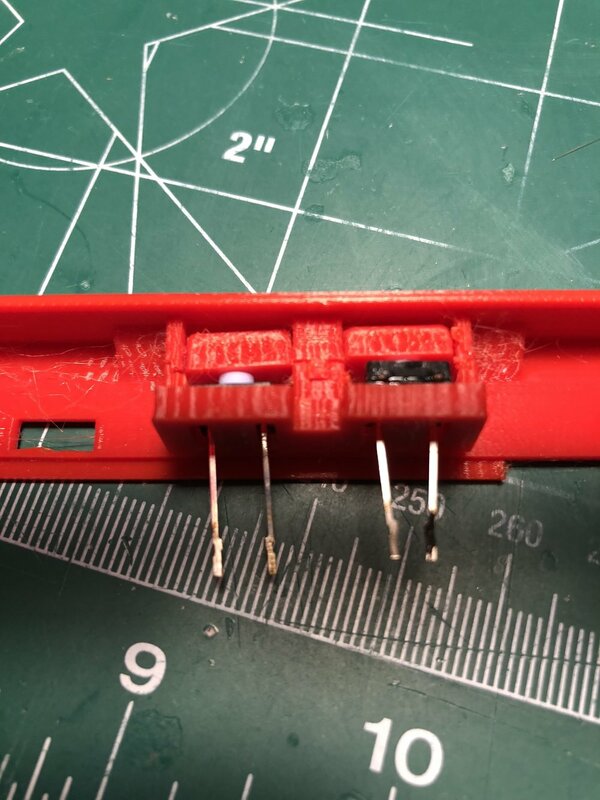 I would put the start/select button holder in place without glue first and do some testing of the buttons to be sure that they work the way you like them. Keep in mind it may seem a bit loose because the PiTFT helps keep the buttons in place. Once you have the buttons the way you like them, go ahead and use a small amount of glue on the middle and sides to glue the start/select holder onto the case with all the buttons in place. You'll want you use some tape to wrap it all into place and keep it in place while you let the glue dry. You'll want to put the case aside and allow it to dry in place while you work on other things.